Southerners love their greens. A time-honored tradition in southern kitchens, greens have held an important place on the table for well over a century, and there is no other vegetable that is quite so unique to the region. Greens are any sort of cabbage in which the green leaves do not form a compact head. They are mostly kale, collards, turnip, spinach, and mustard greens. Collard greens are vegetables that are members of the cabbage family, but are also close relatives to kale. Although they are available year-round, they are at their best from January through April. In the Southern states, a large quantity of greens to serve a family is commonly referred to as a “mess o’ greens.” The exact quantity that constitutes a “mess” varies with the size of the family. The traditional way to cook greens is to boil or simmer slowly with a piece of salt pork or ham hock for a long time (this tempers their tough texture and smoothes out their bitter flavor) until they are very soft. Typically, greens are served with freshly baked corn bread to dip into the pot-likker. In spite of what some consider their unpleasant smell, reaction to the smell of cooking greens separates true southern eaters from wannabes. According to folklore, collards served with black-eyed peas and hog jowl on New Year’s Day promises a year of good luck and financial reward, hanging a fresh leaf over your door will ward off evil spirits, and a fresh leaf placed on the forehead promises to cure a headache. Check out What’s Cooking America’s Hoppin’ John recipe and history. Collard greens date back to prehistoric times, and are one of the oldest members of the cabbage family. The ancient Greeks grew kale and collards, although they made no distinction between them. Well before the Christian era, the Romans grew several kinds including those with large leaves and stalks and a mild flavor; broad-leaved forms like collards; and others with curled leaves. The Romans may have taken the coles to Britain and France or the Celts may have introduced them to these countries. They reached into the British Isles in the 4th century B.C. The 17th century Lowland Scots had greens or potherbs “from the yard” along with their oat cakes or oatmeal. The switch to corn cakes or mush along with their greens in 18th century American was most likely not too difficult a transition for these folk. John Lawson remarked on the many green herbs, wild and cultivated, growing in Carolina in the early 1700’s. These greens included lamb’s1quarters, plantain, nettles, rhubarb (dock rather than garden rhubarb), comfrey among “abundance more than I could name.” The “abundance” most likely adds dandelion, sorrel, spinach, cabbage, lettuce, endive, cresses, and purslane to the list. Collard greens have been cooked and used for centuries. The Southern style of cooking of greens came with the arrival of African slaves to the southern colonies and the need to satisfy their hunger and provide food for their families. Though greens did not originate in Africa, the habit of eating greens that have been cooked down into a low gravy, and drinking the juices from the greens (known as “pot likker”) is of African origin. The slaves of the plantations were given the leftover food from the plantation kitchen. Some of this food consisted of the tops of turnips and other greens. Ham hocks and pig’s feet were also given to the slaves. Forced to create meals from these leftovers, they created the famous southern greens. The slave diet began to evolve and spread when slaves entered the plantation houses as cooks. Their African dishes, using the foods available in the region they lived in, began to evolve into present-day Southern cooking. 2011: Collard greens became the official vegetable of South Carolina when Governor Nikki Haley signed Senate Bill No. 823 (S823) into Law on June 2, 2011. The proposal to name collard greens the official state vegetable was prompted by a letter from Mary Grace Wingard, a 9-year-old Rocky Creek Elementary School student. Mary Grace said that she was inspired by a talk given by Governor Haley during a field trip her class made to the Statehouse. A BILL TO AMEND THE CODE OF LAWS OF SOUTH CAROLINA, 1976, BY ADDING SECTION 1-1-681 SO AS TO DESIGNATE COLLARD GREENS AS THE OFFICIAL STATE VEGETABLE. Whereas, the State of South Carolina ranks second in the nation for collard green production; and Whereas, Lexington County ranks first among counties in South Carolina for collard green production; and Whereas, collard greens are a healthy addition to any Southern meal. Now, therefore, Be it enacted by the General Assembly of the State of South Carolina: SECTION 1. Article 9, Chapter 1, Title 1 of the 1976 Code is amended by adding:”Section 1-1-681. Collard greens are the official vegetable of the State.” SECTION 2. This act takes effect upon approval by the Governor. 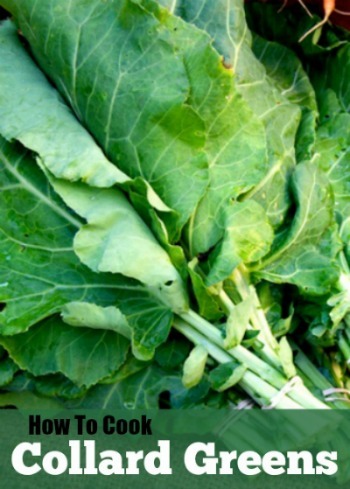 * When buying collards, make sure to choose dark green leaves with no wilting or yellowness. Remember collard greens cook down, so purchase enough for your family. Fresh collard greens may be stored in a plastic bag in your refrigerator for up to 5 days. Wash greens thoroughly approximately 3 or 4 times) to ensure they are clean and free of insects. It is best if you rinse each leaf individually. To prepared the greens, tear each leaf from its thick center stems; discard stems. Remove the stems that run down the center by holding the leaf in your left hand and stripping the leaf down with your right hand. The tender young leaves in the heart of the collard greens do not need to be stripped. Discard all stems. Set collard greens aside until ready to cook. Place ham hocks in an extra-large pot with enough water to completely cover them. Add salt and cook ham hocks 30 to 60 minutes before adding the collards greens. You want the ham hocks to be falling apart before you add the collard greens. Add prepared collard greens, large leaves first (let the water start boiling first), then add remainder of greens. Note that young collard greens will cook up rather quickly. and the older greens may take upwards of 45 minutes to tenderize. Cook 45 minutes to 1 hour, stirring once about midway to ensure thorough cooking. Throughout the cooking process, check the water level and add more as needed to replace what's lost through evaporation. Test for tenderness at 45 minutes by piercing with a sharp knife. Cook additional time if necessary. Remove from heat and drain in a colander, reserving the juice (pot likker). Chop collards with a collard chopper or a knife, leaving no large leaves or pieces. Add some of the juice (pot likker) if the greens are too dry. Salt to taste. Serve hot or at room temperature with your choice of toppings. If you remove the large stem in the center of the leaf you can reduce the cooking time in boiling water. If you slice or shred the leaves (as you would lettuce) and saute in olive oil, you reduce cooking significantly. It all depends on the taste you are looking for. – Andra Cook of Raleigh, North Carolina. Thanks for your question. I don’t see why you could not cook the collards in the slow cooker. I am not exactly sure of the time, but you can check them at 2 hours and see if they are tender, if not cook them some more. I wash my collards and cut the large stems out of the middle so I do not have to worry about them getting tender. This should also cut down on the cooking time. I have a burner on the side of my outside barbecue which I use for just this thing. I put my collards in my “fried turkey cooker pot” and put in the ham hock and after sometime, I put in the collards. Works great if you don’t want to stink up your house! Good luck with your cooking and hope you have a great Thanksgiving. Tis the time for collard and sweet potatoes! – Andra Cook of Raleigh, North Carolina. Strip out those ribs, cut them up and cook them like green beans. Throw in some caraway seeds and chopped onions for flavoring. Got too many? Freeze or can them like green beans also. I freeze them loose on a cookie sheet and then bag them in the deep freeze. In addition to eating them as a side dish, use canned ones instead of green beans in a 3-bean type salad. (I also use canned carrots and beets cut up like French fries in this type of salad). GREAT post! I loved reading the history of collard greens. Although not a fan of cooking them slow and long, I have a stir fried recipe I love and they are so delicious. Of course, fresh from the farm makes them so tender, they don’t need much more than wilting a bit. Dropping a clean whole pecan—shell and all—into any greens while cooking them will eliminate the odor they produce. It does work! I do it any time I am cooking greens. This type of cooking is actually common among all nationalities thru the world eg. Polynesia is called ‘boil up’ using any preferred meat and in Ireland using corned beef with the collards. It is usually a type of cooking used by the majority of indigenous people of the countries in the world e.g France. A very tasty way of cooking I think!!! The exact way my family cooks her collards, with a jalapeño for spice and fry meat grease (all the grease collected from bacon, chicken, and pork). Putting meat in greens is unnecessary and actually ruins the flavor. Just use, salt, onion, thyme and a hot pepper if you want.